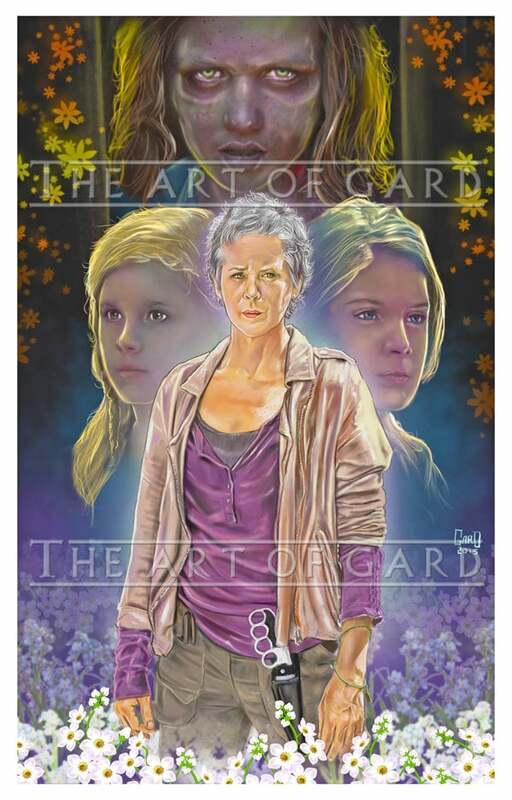 A drawing of The Walking Dead's Carol Peletier played by Melissa McBride. This digital drawing commemorates the struggles Carol faces in the span of the show. From losing her daughter and growing a relationship with two young sisters, to only face adversity once again. The print is from the original file that the artist drew it from at 300dpi.